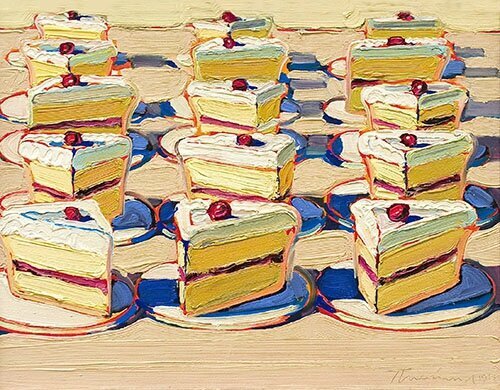 Wayne Thiebaud was born November 15, 1920. 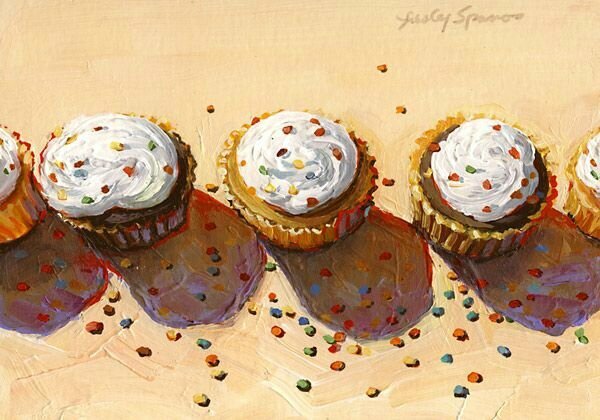 He is an American painter known for his colorful works depicting commonplace objects—pies, lipsticks, paint cans, ice cream cones, pastries, and hot dogs—as well as for his landscapes. 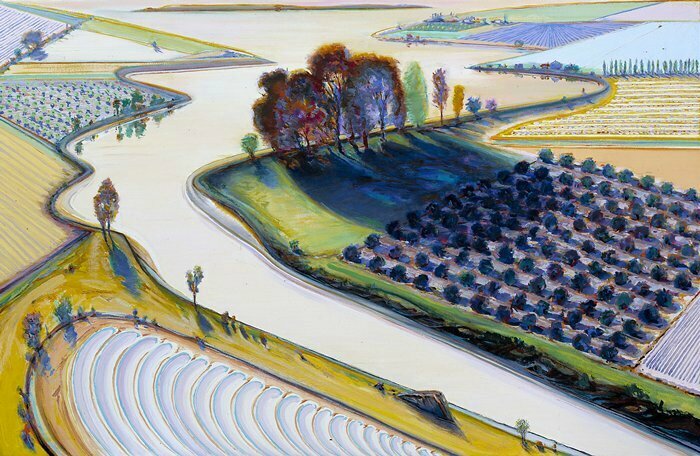 Thiebaud is associated with the Pop art movement because of his interest in objects of masse culture, although his early works, executed during the fifties and sixties, slightly predate the works of the classic pop artists. 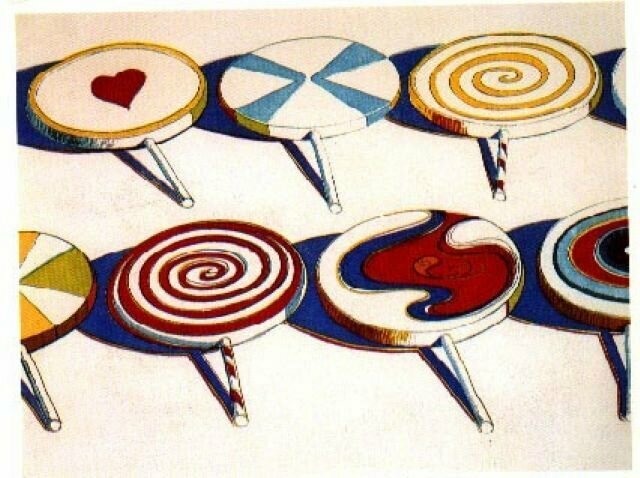 Thiebaud uses heavy pigment and exaggerated colors to depict his subjects, and the well-defined shadows characteristic of advertisements are almost always included in his work.